On one hand, you would think I would find this irksome. Character development is nearly impossible to cultivate in this style. And you guys know how much I love good character development. 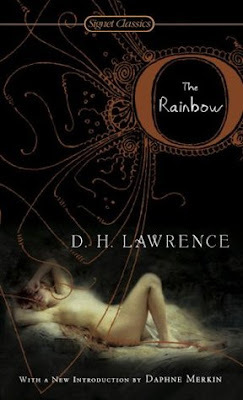 Lawrence's characters change little of the course of their lifetimes. Growth, when it does occur, seems to be a near throw away decision made, not the complex, emotional journey it could and should be. Yet, I can accept this approach as something so different it deserves recognition. It's a style, and one very popular in its day. Keep in mind, in this era, the deep, personal reflection or self-analysis simply was not as prominently accepted or practiced as it is in our era of psychology and shrinks and identifying Buzzfeed quizzes. Lawrence, in many ways, is the British equivelent to Tolstoy. Long books, quick passage of time, writing style in general - I find them all so reminiscent of Russian fiction. And that's not a bad thing. This literary era offers us a wonderful glimpse into the lives and entertainment preferences of a society long gone. Understanding Lawrence can help us not only to understand the lifestyles of the poor Britons he wrote about, but also the wealthier citizens who were buying his work. I'm looking forward to the final Lawrence novel on the 100 Best list. It's a sequel to The Rainbow, so that should be interesting. I just realized that Lawrence's most famous novel, Lady Chatterly's Lover, did not make the list, so perhaps I'll read it when I complete this challenge. Though his works have not captivated my imagination nor inspired much emotional response, they have been educational for me. With that, I am grateful and satisfied. A Reduced Review: A family epic worth reading if only for its literary and historical educational use.